It’s hard to believe that we’re already in the midst of busy season. Are you making the most of it? VingDirect is partnering with WineDirect to bring you our top 5 tips to ensure your tasting room is poised for a successful fall season. 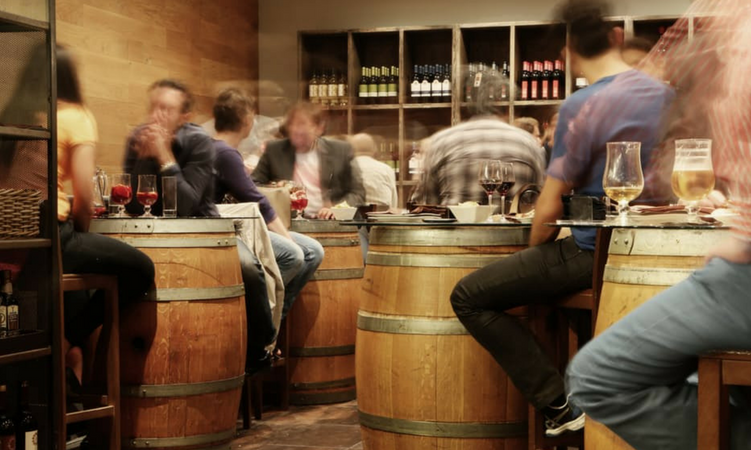 Are you attracting the right tasters (and enough of them) to your tasting room? Everything begins with a taster, doesn’t it? At VingDirect we believe in measuring your results, so it’s important to define tasters and be sure you are measuring your results. We measure tasters as paid + comp tasters, so the count includes club members and trade tasters. The best way to capture taster counts is to create product codes for all your tasting experiences. We recommend creating unique product codes for club member tastings, trade tastings and prospect tastings. 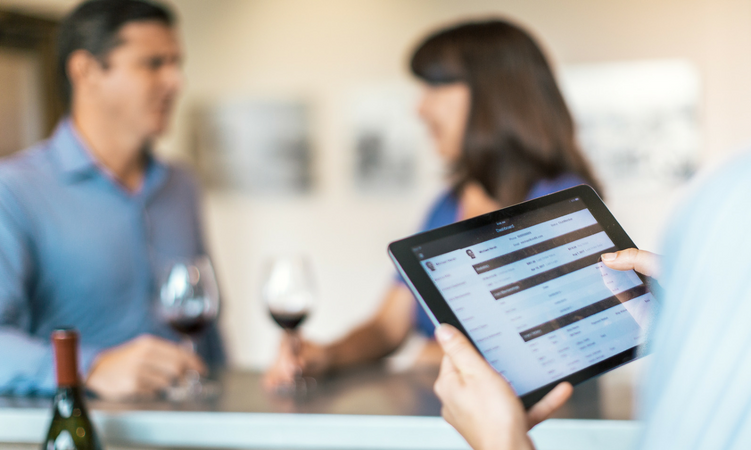 If you have different areas where you conduct guest experiences, please consider coding those differently so you can track results from each area of your winery. Knowing your percentage of returning club members, industry visitors and first time guests and your results from different areas of your property will help you make better business decisions. One key to unlock a successful selling season is to attract the RIGHT tasters to your tasting room. The key to attracting the right audience is to clearly differentiate yourself in the vast sea of wineries. 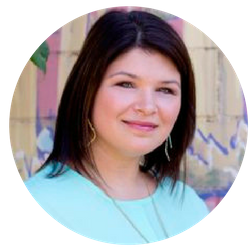 Aim to stand apart through your story, your guest experiences and your events. When you are successful in setting yourself apart you will attract the guest who is going to feel a fit with your brand. And those guests will be loyal advocates for you. We recommend that you create your brand position if you don’t already have one. A brand is an inanimate object so the brands that are most successful have brought their brands to life. How can you make a brand sticky? 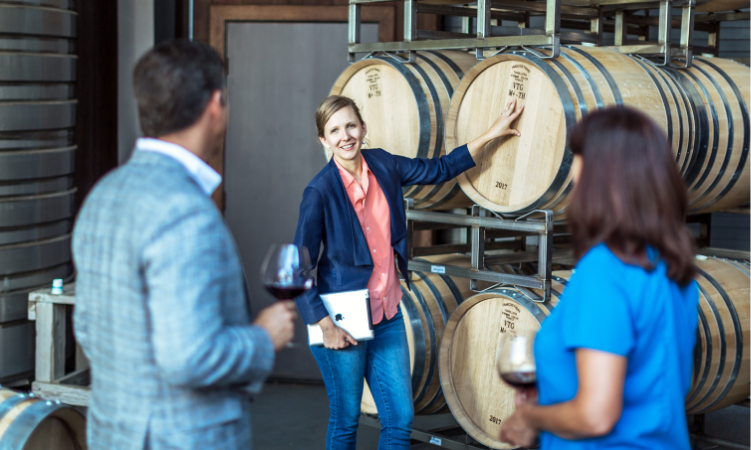 What will create the bond, the connection that will keep your customers loyal to your winery? The best tip we can give you is to think of your brand as a person. Who would they hang out with? What would they wear, what would they do in their spare time? What music would they like? If you can describe your brand’s unique and distinctive personality you’re half way home. Like attracts like… so you’ll attract the right audience when you clearly and narrowly define your winery brand. People generally don’t fall in love with inanimate objects; they personify them. We buy the person, then we buy the product…Breathe life into your brand! Good partnerships start with brand values. Check referral cards to be sure they represent what makes you unique. Is your brand image reflected on the referral cards? What are the gatekeepers saying about your winery? These are the people who are referring guests to you – B&Bs, winery neighbors, hotels, etc. How do they decide who your ideal guest is? Complimentary tastings aren’t critical to getting the right audience to your tasting room. In fact, 2 for 1 tastings or special experiences can attract a more targeted, higher quality guest to your winery. If you don’t measure your outreach results you won’t have the information you need to find new referrers or cease working with sources who don’t perform well for you. If your POS allows, enter source codes and capture the code when you ring up the tasting experience. If your POS doesn’t do this, create spreadsheets to record the information. Make sure to include a space for the referrers name and then reward those referrers personally - not the business – the individual. Reviewing the guest path is very important on a regular basis to ensure a successful busy season. How will guests learn about you before traveling? How will they get directions to your property or make a reservation? Check everything, including your phones. Inbound calls should be directed to the person who can help the guest. If someone wants to order your wine, where would their call be directed? Call that number and see how it feels to be your customer. Check your website. Are the directions to your tasting room clear? Test your reservation system, does it work? Are phone numbers for information and ordering wine clear and easily accessible? Check first impressions upon arriving at the winery. Is the property signage in good condition and easily seen? Is the tasting room entrance clearly marked and easy to find? Consider conducting mystery tastings and mystery calls periodically so you can catch any issues and correct them quickly. One of the biggest challenges in our industry is acquiring talented tasting room team members. You need a deep bench of skilled team members to be successful during busy season and all year round. Understand the value of your team members. 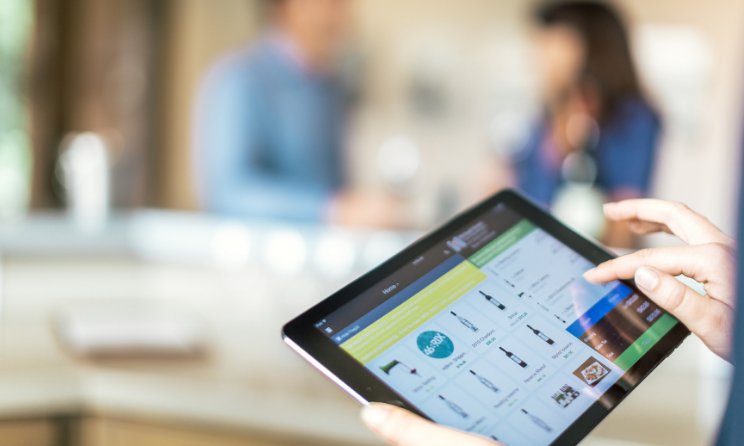 Quantify it: total your tasting room and club member sales last year. What does that represent as a percentage of your total DTC sales? What are the total tasting room salaries as a percentage of sales? Understanding the contribution of this team may change your perception. You can’t afford not to invest in the proper number of team members to deliver a great guest experience. The first thing you need to do is to identify who you want to attract. In the same way you want to attract quality tasters, you need to be as focused on attracting quality staff. Remember your brand identity? Refer to it each time you have a position to fill because it will help you identify people who will “fit” and each person becomes an extension of your brand. Just as tasters who are a good fit will stay in your club longer, employees who share your values and your brand vision will stay with your business longer. All things being equal, an employee who feels a connection to your winery will not be tempted to leave for a dollar more an hour. Knowing exactly who you are looking for will help you narrow the search and will also help you think creatively about where you might find them! Looking for even more tasting room tips? Check out our recent webinar. We hope these tips help you earn rave reviews! If you have any questions or would like to talk through the tips we’ve provided, please feel free to call our Texas office at 512-412-6319 or email Susie@vingdirect.com. If you’d like to learn more about VingDirect services, please visit our website at www.vingdirect.com. We are extending a special offer to anyone reading this blog for a complimentary 30-minute consulting call with a VingTeam member. Please reach out to Susie or the phone number above to schedule your call today!